Knitting a blanket isn’t difficult. It can be a bit monotonous and seemingly endless. I much prefer knitting hats where there’s a definite start and end and it can be completed in an afternoon. 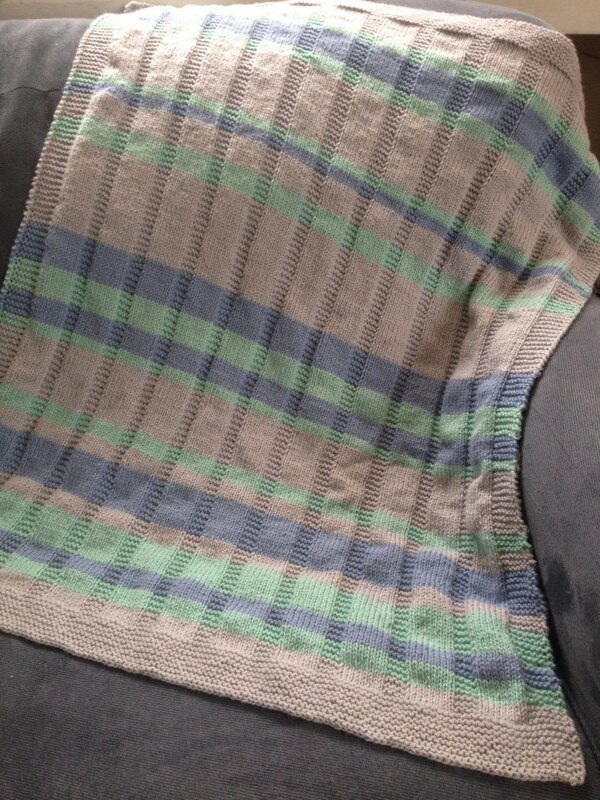 That being said, there is something special about giving someone a hand-knitted blanket. It shows you care enough for the person to spend a lot of time and sometimes money on a thing she will hopefully cherish for years and years. 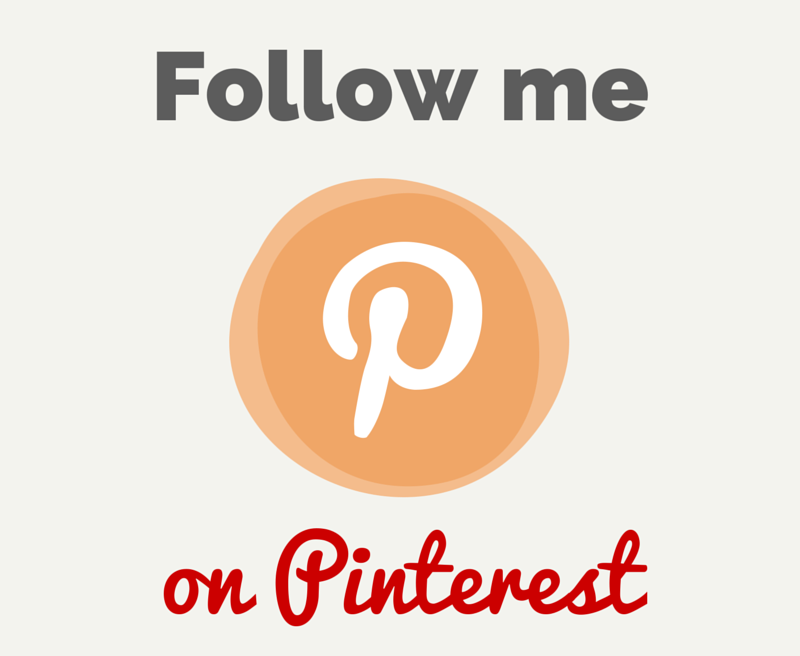 Here’s a pattern for a lovely baby blanket that measures approximately 29″ x 32″. 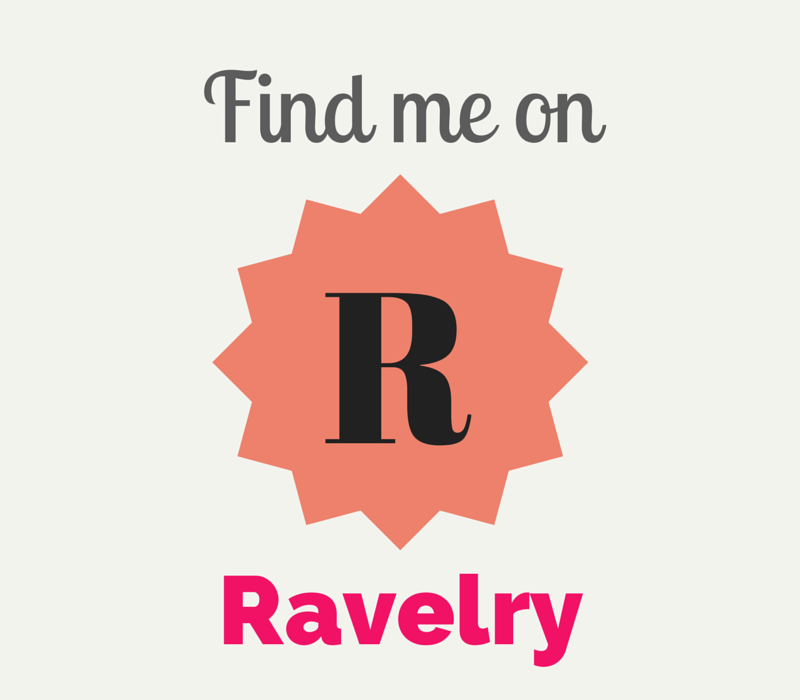 I recommend it to knitters of all levels. I used a worsted superwash wool so no matter what temperature the gift recipient washes it in, it will not shrink. I based my pattern on two different designs from Altadena’s Baby Designs and the TLC Channel’s website (who knew they had knitting patterns?) You can make this pattern on whatever needle size you like and make it as long as you like. I randomly selected the color pattern and width of the stripes, but what follows is the exact rows and combinations for this particular blanket. Make the stripes the way you want. This is more of a guide. Except when you’re bringing in new color, slip the first stitch of every row. Cast on 144 stitches. 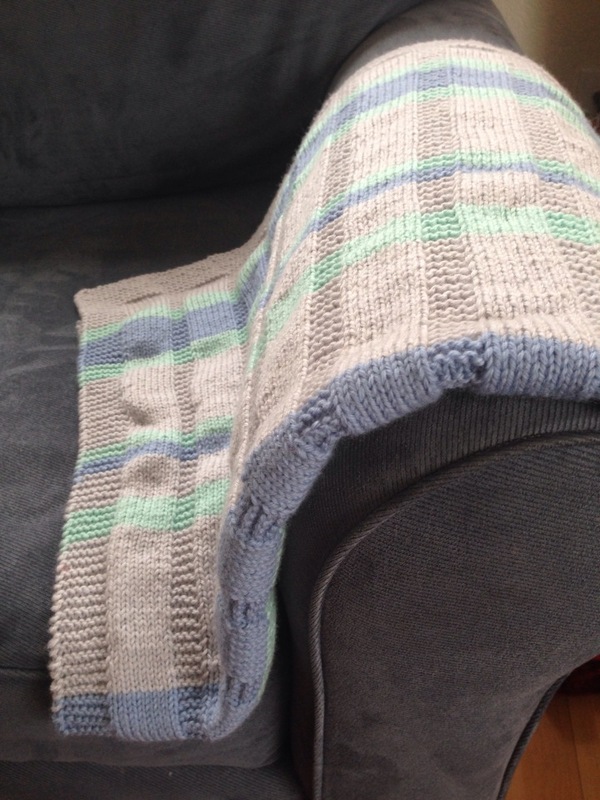 Knit in garter stitch for 16 rows. Row 2: K8, P8, *K4, P8*, repeat * until 8 stitches remain. Knit 8. 14 rows grey, 6 rows limestone, 12 rows blue, 6 rows limestone, 26 rows grey, 4 rows limestone, 4 rows blue, 10 rows grey, 8 rows limestone, 30 rows grey, 12 rows blue, 10 rows limestone, 8 rows blue, 4 rows limestone, 20 rows grey, 6 rows limestone, 6 rows grey, 14 rows blue, 6 rows grey, 12 rows limestone, 6 rows blue, 6 rows limestone, 14 rows grey. 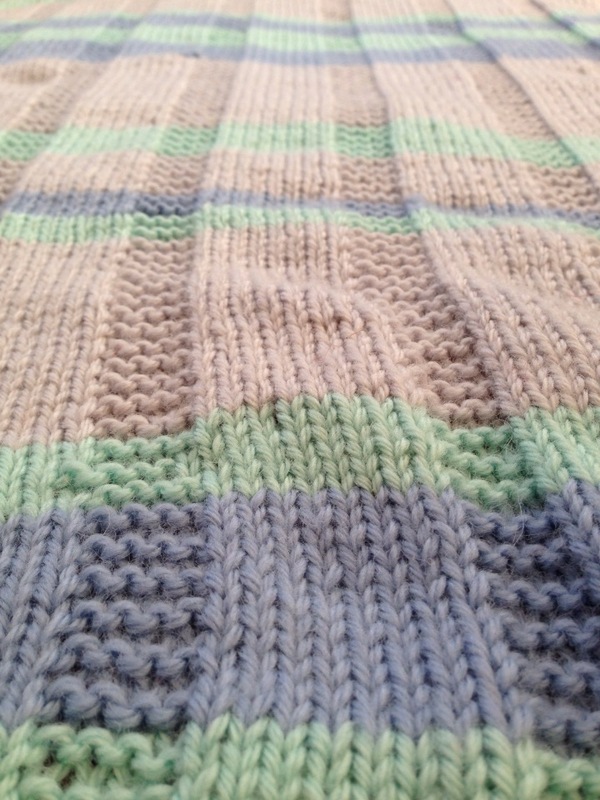 Knit 15 rows in garter stitch and bind off using the stretchy method. Now the fun part! Weave in all ends. This is the downside to stripes. A whole lot of ends. I don’t have any scientific method of weaving in ends, so do what works for you. Hope you find this pattern helpful and good luck knitting a blanket. You’ll feel a great sense of accomplishment and relief when you’ve finished. Hi, Your baby blanket is beautiful………..love the colors.. I am a beginner knitter, so always looking for easy patterns. I am allergic to wool, what other types of yarn could I use. Thank you..
You could substitute a worsted acrylic yarn. I suggest Vanna’s Choice by Lion Brand. It has a great lustre. I just started knitting your blanket! It’s not clear to me if I knit 16 rows in garter stitch with the grey and then start the pattern of 14 rows also with the grey?? Thank you. I believe I knit in garter stitch for 16 rows in the grey and continued in stockinette for 14 rows also with the grey. But this pattern is really flexible. You can make the stripes as wide or as narrow as you’d like. Best of luck and I hope you’ll send me a photo of the finished product! I’m allergic to wool also – I have found that Caron’s “One Pound” skeins are easy to work with (I can make a good-sized baby afghan with just one skein if I want to!) and wash up SO soft. Bonus that I found out COMPLETELY by accident (because I spilled half a cup of coffee WITH cream on a white “work in progress”), it’s very stain-resistant! I, too, love the feel of Caron’s and it would be a great substitute for this pattern. My choices were based on my friend’s nursery colors. I’m glad you like them. Thanks for the lovely pattern. What a beautiful child! Glad you enjoy the pattern. How do I do a slip the first stitch of every row? That just means you place the right needle into the first stitch on the left needle as if you’re going to knit it, but then just transfer the stitch from the left needle to the right needle. This creates a clean, straight edge throughout the work. It is not necessary to do this step. You can knit the first stitch normally and the pattern will turn out fine. It’s just my preference. Natasha, Thank you for the prompt and detailed reply. It’s ingenious. I look forward to trying it. So many possible color combinations for the stripes. I’m trying to move the pattern to my cell phone so I can bring it to my yarn store. Thank you again. I love the look that comes of slipping the first stitch in each row – especially when it comes time to bind off because the last stitch ALWAYS looks wrong otherwise. Approximately how long did it take to complete? Also what is a “stretchy” bind-off? It took me several weeks to complete, but only because I have the attention span of a mouse. I only knit an hour at a time. The “stretchy” bind off, if you follow the link, is an alternative to the bind-off method I learned as a child. The bind off method I know leaves the edge tight with little give. This version has more give and more closely resembles the cast-on edge. Thank you for your helpful responses – substitution on yarns & what slip the first stitch means & why. I’m going to make this baby blanket soon. You’re welcome Priscilla. I do hope you’ll post a photo of your finished blanket. Gorgeous! I’ve been knitting since I was 9 years old and am knitting for my two infant granddaughters now. Good patterns and ideas are greatly appreciated. Great job, Natasha! One ball of Ella Rae is 100 grams or 219 yards. What a gorgeous blanket! Thanks for sharing. Cannot wait to try this pattern…as soon as I finish a sweater in progress. I’m so happy you like the pattern. I do hope you’ll post a photo of your version when you complete it. What is the finished size? Thanks very much! The approximate size is 29×32 inches. Lovely little blanket. I plan to start soon. Is it safe to assume that Row 2 is the wrong side? So glad you like the pattern. Yes, row two is the wrong side. Thank you for sharing your pattern. It is beautiful! It is going in my “to do” queue right now. My pleasure. I’m happy you like it. I hope you’ll send me a photo when yours is completed. this is an eye a catching blanket because of the colors you used. very pretty. I’m thinking of making an adult size afghan from your pattern. with a size 8 would you suggest casting on about 200 or should I go to a larger needle and the just knit til it’s as long I want it. Thanks for your kind comment. I’m not much of a mathematician, but another person asked me as similar question last week and I determined if you wanted to double the width of the blanket, you should double the internal stitches and add 16 for the border. My blanket has 128 internal stitches, so it stands to reason that if you doubled that and added 16 the blanket would be 272 stitches. Then you can knit it as long as you like. Of course you could always buy bulky yarn and knit the whole thing on size 10 or 11 needles according to the pattern. I don’t know if it would double the size, but it would be significantly bigger. I hope that was helpful. Please let me know if you have any other questions. To increase the size the formula is Multiples of 12 stitches plus 24 stitches. Since yarn weight and brand and needles sizes vary its hard to state the finished size of blanket. So, you may have to experiment a bit with swatches. Hope this helps, I like the pattern and plan to work it out to a crib size at least 36″ wide, using Caron Simply Soft and size 8 (US) needles. Any cast on method would work for this blanket. I don’t know the specific name for the way I cast on, but I’d recommend looking on YouTube for videos on how to cast on. I’m a fairly new knitter so this might sound kinda basic but why are you ending the blanket with only 15 rows in garter instead of an even number? The reason is that when you bind off, that counts as a row. If you were to knit 16 rows and then bind off, it would look a little longer. I am going to knit this blanket and Iam thinking of using pastel pink and purple,so do you think white would go good with this or should I use another colour? love to have your opinion on this as I am doing this for a baby girl..love the colours you have choosen for a boy!! Thank you for your kind words. I think white would look lovely with pink and purple. Peach might look nice too. I’d love to see your finished product. Please let me know when it’s completed. Beautiful Pattern. I am going to use 100% cotton. 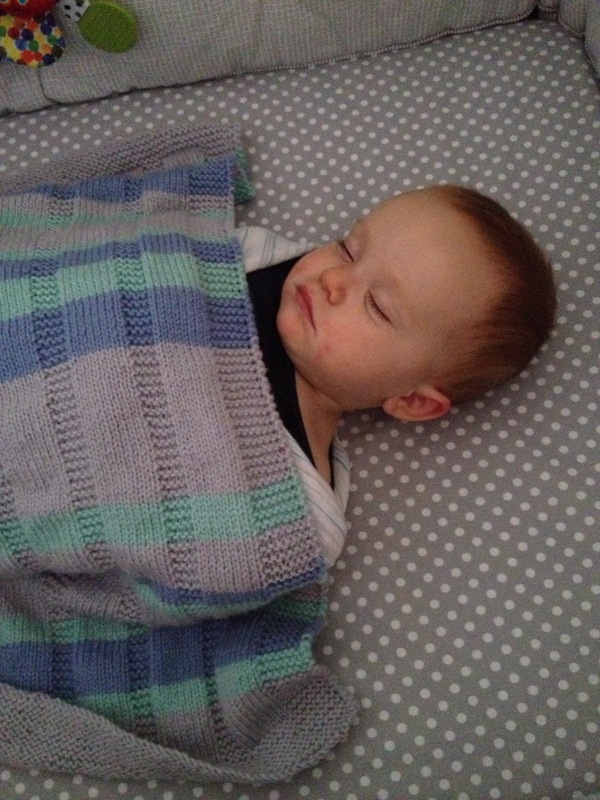 I am curious about the blanket size 29 x 32, it seems a bit small for a crib blanket but my kids are all grown and I do not remember blanket sizes. Looking at other patterns baby blankets are all different sizes. As a Mom how has this size worked for you? This is a great question. This blanket is not crib sized. I believe it would be categorized as stroller sized. I didn’t have the patience to knit a full crib size, hah! The reason I chose to make my pattern this size was that my son’s favorite and only blanket is about the same dimensions. My friend whose son I made this for told me the size was smaller than she expected, but she likes it just fine and her one-year-old sleeps with it every night. When he was younger she was able to wrap him up in it like a perfect baby burrito. I would like to use this pattern for a prayer shawl. Can you give me directions that are narrower? I am a new knitter. I am unfamiliar with the dimensions of a prayer shawl, but I assume it’s like a wide scarf. I would suggest casting on 80 stitches and following the same pattern. I’m not positive it will work (I am terrible at math) but I believe if you subtract the 16 stitches for the borders and divide the internal stitches in half (128/2 = 64) then add the border stitches back, you’ll have 80 stitches total, which would be about half the width of the blanket. Then I would knit the pattern till it is a length you prefer. Hope this helps! Thanks….your instructions will probably be exactly right. A prayer shawl is indeed a wide scarf. 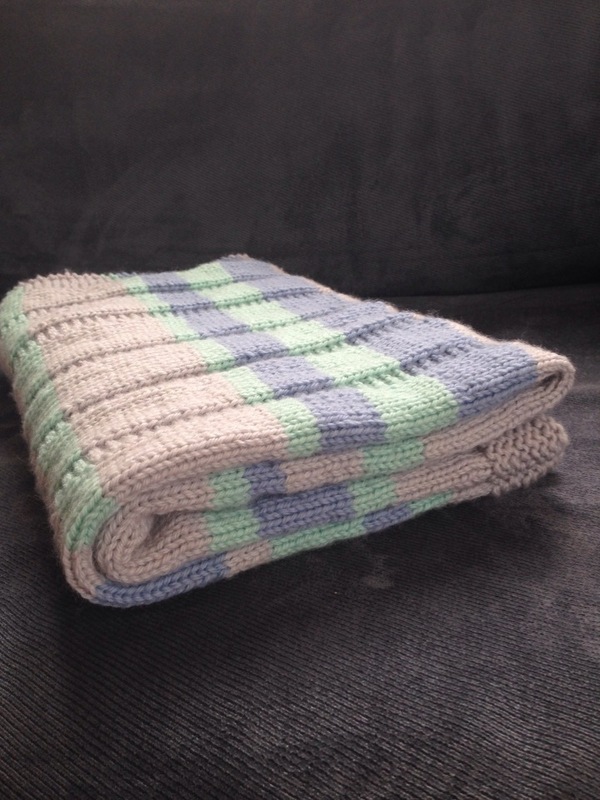 Lovely looking blanket, is the size 8, UK 8, or 8mm please? I slip the first stitch of every row because the edges looks more even this way. But if you were to slip the first stitch of a row where you’re bringing in new color you’d have one stitch in the previous color and the rest would be the new color. So in the case where you’re knitting a row with a new color, just knit the first stitch with the new color instead of slipping the first stitch. The pattern repeat says k4 p8….. Does this mean we are doing the pattern repeat on the wrong side? I believe the answer is yes. The row that says “Knit across” is the right side of the fabric. On the stretchy method cast off: What do you do with the last stitch after you cast off this way? I just cut the yarn and draw it through the last loop. Nothing special. I think it’s the same way I bind off the last stitch when I cast off regularly. Thank you! Got my yarn ordered, can’t wait to start! I just finished making your blanket pattern. 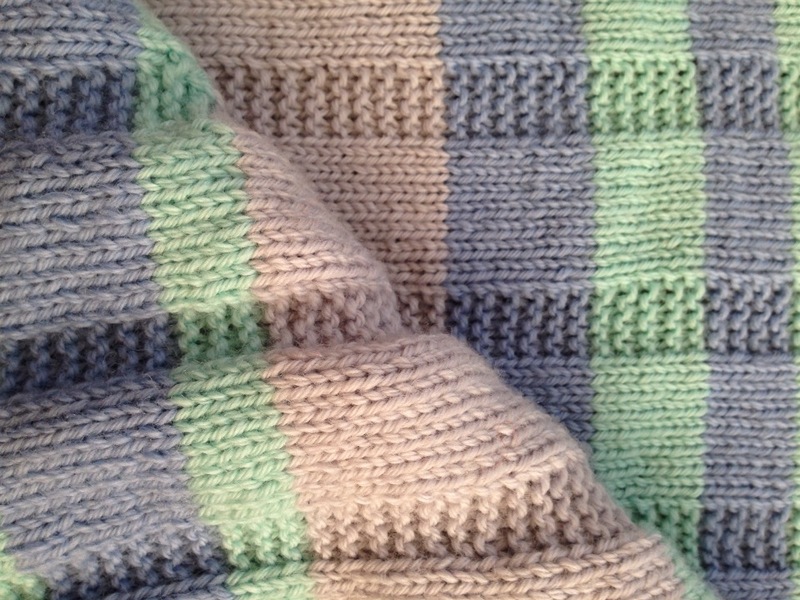 I used Caron’s Simply Soft in Soft Blue, Soft Green and Grey Heather. I don’t recommend this yarn unless you use very pointy needles as it tends to split. I also had to have a crochet needle handy as I kept screwing up the garter stitch inserts. But all in all it came out nice and I would make it again with better yarn and change the garter insert to the purl stitch for my sanity! I’m so happy you tried my pattern and it worked out for you! Caron yarn is a little finicky, I agree. In June I made your blanket. I wanted to do it again but this time I used chaio goo very pointy needles and I knitted Portuguese style. P.S. Also I learned another trick, you do the garter stitch by purling only, it’s so much easier. I did it on this blanket. I finished mine! Love the stretchy cast off. Would love to send you a pic. I would love if you sent me a photo Ashley! My email is alaskaknitnat @ gmail.com. Should it be 146 to cast on? I’ve ended up with 6 at the end of row 2 not 8. I’ve checked numbers and pattern and haven’t missed any…. Dear Vicky, unfortunately it’s been several years since I’ve made this pattern. I haven’t had anyone else comment on an error in stitch numbers but it could be possible that I miscounted. 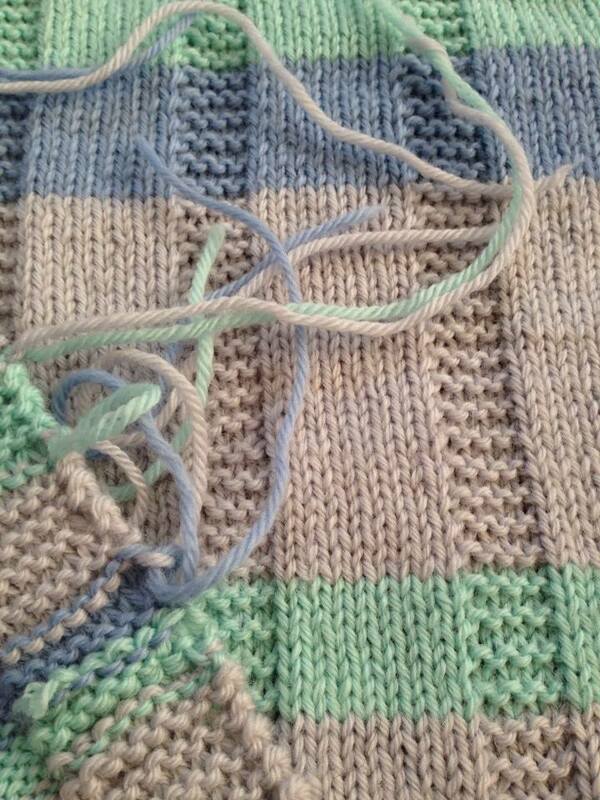 Normally I subtract the number of stitches for the border on each side and calculate the pattern in between. I’m sorry I can’t be more of a help. I just found this pattern that I plan to make for my new grandbaby- we don’t know yet if it will be a boy or girl!! exciting. I have never knitted w/ different colors- when you finish with one color – do you just pick up the new color and kinda leave the yarn hanging? Hi Kate, I’m glad you like my pattern! Changing colors while knitting is sort of personal. You find what works best for you. 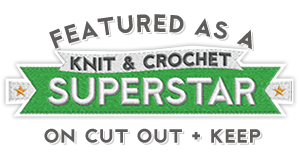 Here is a good site that shows several ways to join yarn: http://blog.shopmartingale.com/crochet-knitting/joining-new-yarn-in-knitting/. Best of luck! Thank you so much for the pattern. What color did you start with to do the 16 rows in garter after the CO and also the first row 1 and 2? Dear Anna, I started with the grey color in this pattern. Did you carry the changing yarn color along the side or did you cut the yarn and weaved it in. Hi rosa, sorry for the delay in replying. I cut the yarn and weave it in after finishing the blanket. I love this pattern! Four babies being born in the family this year and I have two blankets done! One of my nieces prefers grey-teal-orange and dang if there is NOT a color combo out there I could find so I’m going with stripes! This is going to be fun! I think I saw a knitting tip on how to blend in/knit-weave in yarn strands as you go along instead of having to weave everything in at the end. IF I can find the link and IF it works I will re-post for all! So glad you enjoy this pattern Elizabeth!